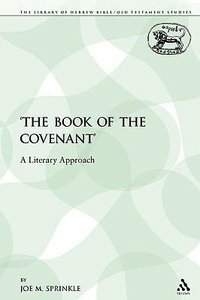 This volume offers a synchronic, literary reading of the final form of the laws of Exodus 20.22-23.19 (commonly, though inaccurately labelled "The Book of the Covenant"), in contrast with primarily source- and form-critical approaches commonly utilized in the past. The work seeks to demonstrate that this literary unit is much more coherent, more integrated into its narrative context, less in need of the positing of corruptions, secondary insertions, rearrangements or the like than has usually been recognized. The approach instead seeks to find authorial purpose in each case where scholars have often posited scribal misadventure, "seams" between sources, disorder, contradiction, or corruption. About "The Book of the Covenant (Library Of Hebrew Bible/old Testament Studies Series)"
Ezekiel has long been considered the most difficult of all the prophetic books to understand. The prophet's bizarre visions, extraordinary behaviour, and extravagant imagery have perplexed and fascinated readers for more than 2,500 years. The prophet has had an impact not only on theology and the life of Church and Synagogue, but also on culture, art and architecture. The volume brings together 15 new essays on Ezekiel's impact by leading scholars, and they focus on a range of different parts of the book and periods of reception. Historically they cover the reception of Ezekiel from the New Testament to the present day, and include both Jewish and Christian readings of the book. Methodologically, they offer a wide sample of the different approaches to reception/history of interpretation current in contemporary biblical studies.